Week 3: Fab and stuff a circuit. I added some tutorials on how to mill circuits and also how to use the vinyl cutter to make flexible circuits. 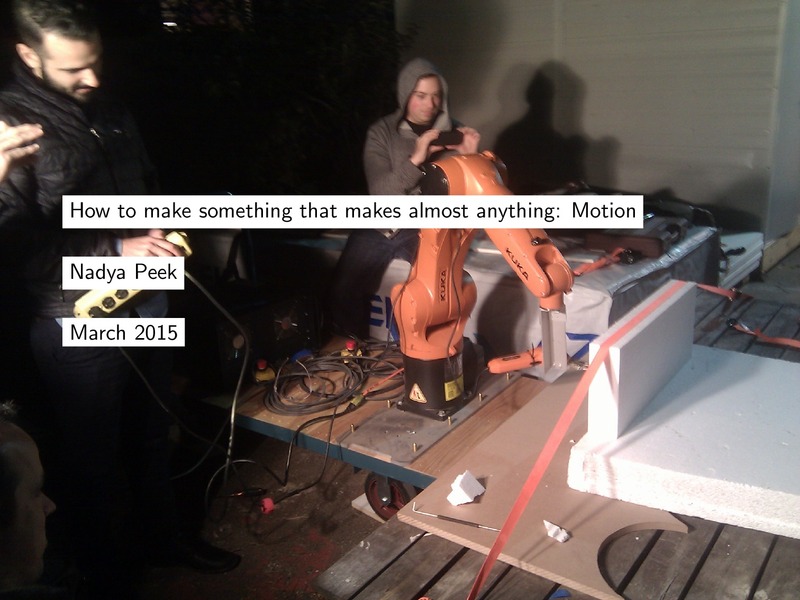 Also one up on instructables. 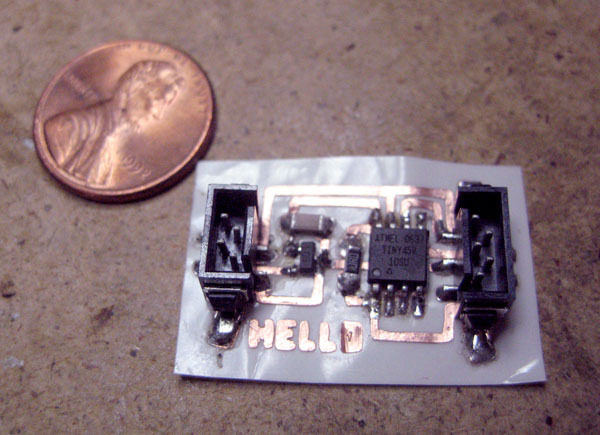 There are several different ways to make a printed circuit board. The most common one is to etch the board with corrosive acids. This however generates a lot of chemical waste which is not so nice for the environment. 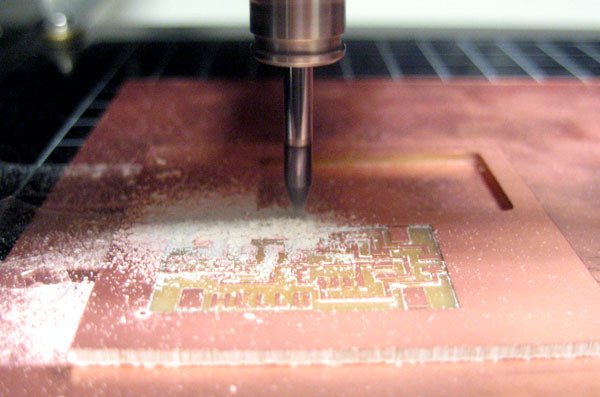 Instead, at the fablab we try to either mill or vinyl cut the PCBs, which now should really be called MCBs and CCBs. Adjusting the mill height is done with 3 microns at a time, unless you keep the button pressed for a longer period of time. 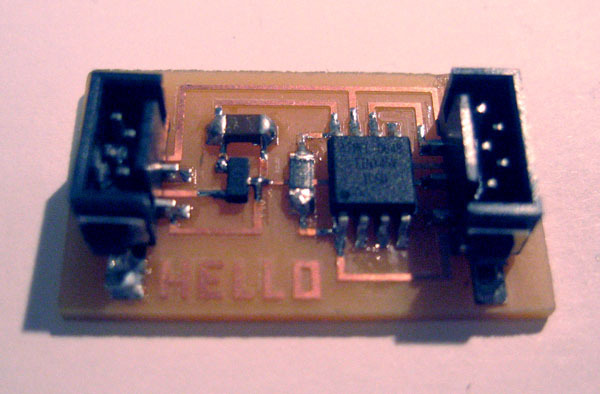 This is the milled and stuffed hello circuit. Milling the the inside part of the board is done with a 1/64th n mill on the modela, whereas the board itself is cut out with a 1/32th n mill. Here I opted to vinyl cut copper sticker to make a flexible circuit, which is fixed onto a bed of epoxy film, more commonly known as electric tape. 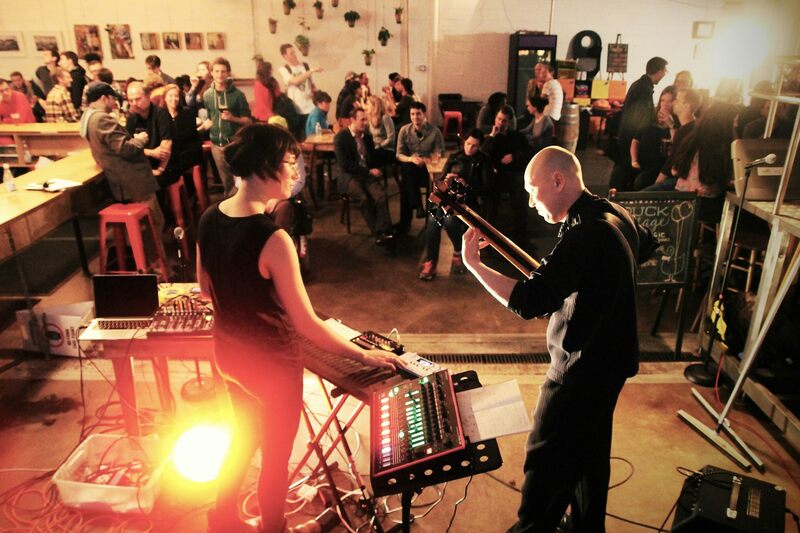 We played a show at Aeronaut last week, as part of the weekly Duck Village stage!